If you would like to upgrade a software already installed in the computer labs or if you would like to install a new software in the computer labs on campus, please fill out the Jaspernet Request form and Fax to x8024 Attn Operations Team or email to its@manhattan.edu. The Jaspernet Software Request form can be downloaded here. Note that fully completed and signed forms are required for any change to the labs, even for free software. All software media and licenses are also required by the due date. Requests should be submitted by November 14, 2014. Software for forms submitted after the deadline may not be installed in the labs for the Spring 2015 semester. This is because we need time to install, test and deploy the software before classes start. Ever wonder how many email messages you actually get, read, reply-to? 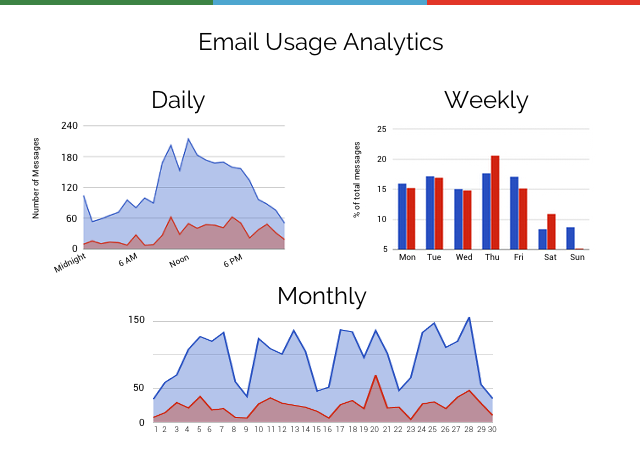 Have a look at Gmail Meter - http://gmailmeter.com/ Gmail Meter is an add-on to any Gmail account (including your JasperNet Email account) that gives you insight into your inbox. Work with any file, on any device, any time. With today’s launch of the Slides app for iPhone & iPad and updates to the Docs and Sheets apps, we’re delivering on our promise to make it possible for you to work with any file, on any device, any time. You can now create that grocery list, edit that spreadsheet, and update that slide deck with no problem. You can truly get stuff done from any device—your iPhone, iPad, Android phone, Android tablet, laptop or desktop computer. Any change you make on any of these devices is saved automatically, so you can pick up right where you left off any time, anywhere that you can sign in. 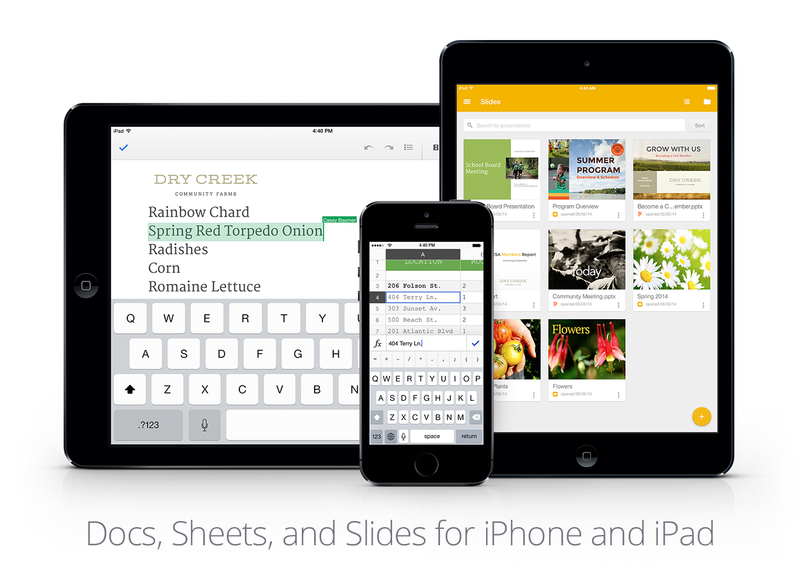 The Docs, Sheets and Slides apps come with offline editing built right in. Just make the files you want to edit available offline. Any changes you make offline get automatically synced when you reconnect, just like when you make offline edits from your computer. And while converting Office files to Docs, Sheets and Slides is a cinch, the new iPhone/iPad apps also let you edit Office files directly -- just like on the Android apps and the web. Simply put, no matter where you are, how spotty the WiFi is, or what file type you're working with, you can get stuff done your way. In our continued efforts toward exceptional customer service Client Services offices will be closed on Thursday September 25th from 2:00PM - 3:30PM for Staff Development. If you have an emergency, please dial 718-862-7973 and someone will assist you. *If you have any questions or concerns, please call (718) 862-7973 or email its@manhattan.edu. This web site is maintained by the Manhattan College Computer Center. Please send comments, suggestions, or problems to: Cindy Duggan, Academic Support Administrator. Client Services will be closed on Saturday 9/13 All Day for staff development. The Moodle issue reported yesterday has since been resolved. Moodle should now be functioning normally. The issue regarding logging into computer labs has been resolved. We are aware of an issue affecting logins to computer labs around campus. We are working to resolve the issue as quickly as possible. As of approximately 2:20PM today the Moodle and Moodle Community server are not functioning correctly. We are aware of the issue and are working to fix it as quickly as possible. We do not have an ETA on restoration of service at this time. When more information becomes available we will update the community.